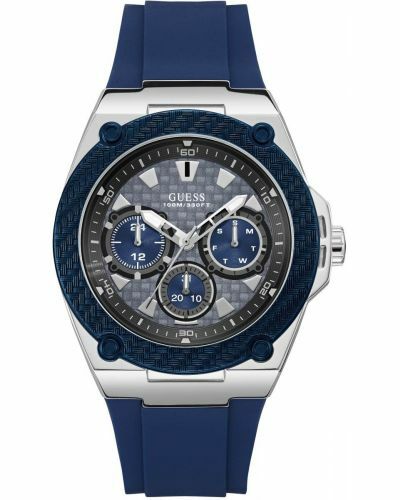 This striking men's watch is brought to you by Guess as part of their new Legacy collection. 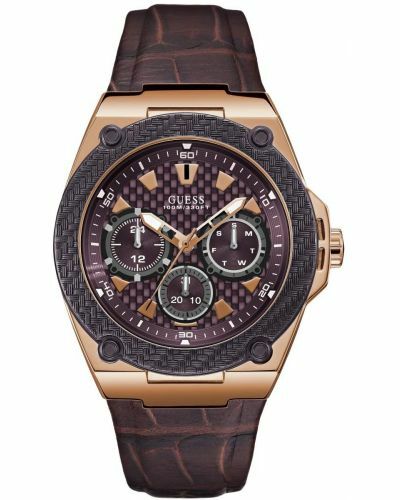 Featuring an oversized 45mm round Rose gold plated stainless steel case with an intricate blue Ion plated basket weave textured bezel; the Legacy watch is sure to draw attention. 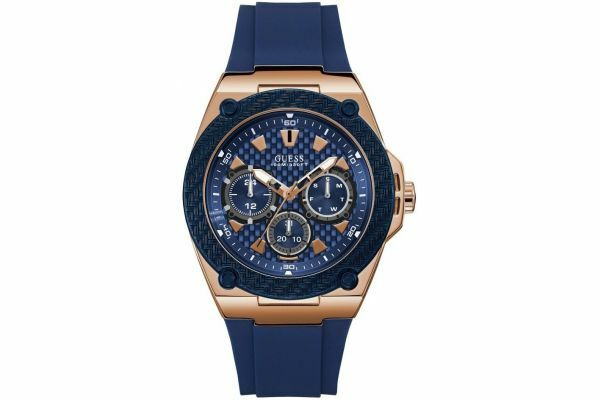 Housed underneath protective mineral glass is the sublime dark blue patterned dial which is complimented by the rose gold applied hour markers and three hand movement. Three rose gold highlighted sub-dials present the day, date and a 24 hour clock. Set upon a sophisticated dark blue rubber strap and secured by a rose gold plated stainless steel buckle; the Legacy watch is both comfortable and smart on the wrist. 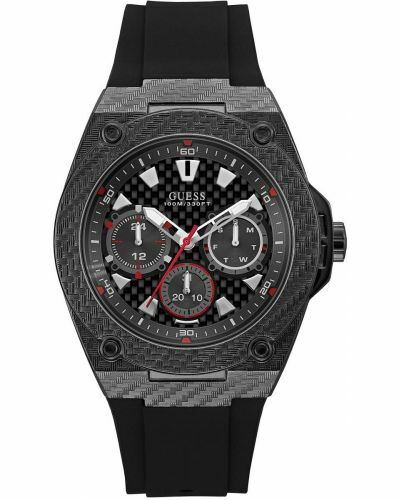 Powered by Quartz movement and water resistant up to 100 meters the Legacy watch by Guess comes complete with a two year guarantee and offical Guess packaging. For us to size your new Guess Legacy watch as accurately as possible, please take a look at our downloadable Watch Sizing Guide.